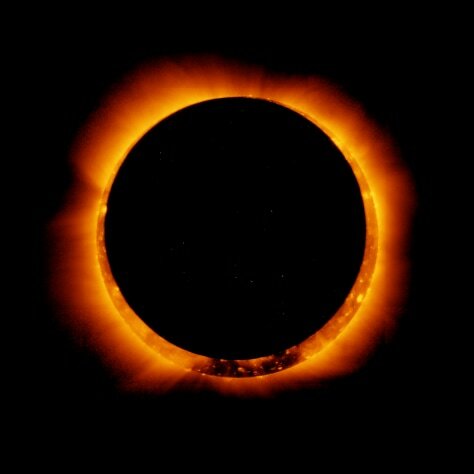 On Jan. 4, 2011, the moon passed in front of the sun in a partial solar eclipse — as seen from parts of Earth. Here, the joint Japanese-American Hinode satellite captured the breathtaking event from space. The view created what's called an annular solar eclipse.